The Kwame Nkrumah University of Science and Technlogy (KNUST) has appointed Dr. Otchere Addai-Mensah (PhD, MD, MSc.) as Vice Dean of Students. He was appointed on Friday, 8th February, 2019. His appointment comes few weeks after the substantive Dean of Student, Prof. William Gariba resigned from his position following several calls on him to vacate his position after recent impasse that occurred in KNUST. The Vice Dean, Professor Wilson Agyare has since been acting in his stead. 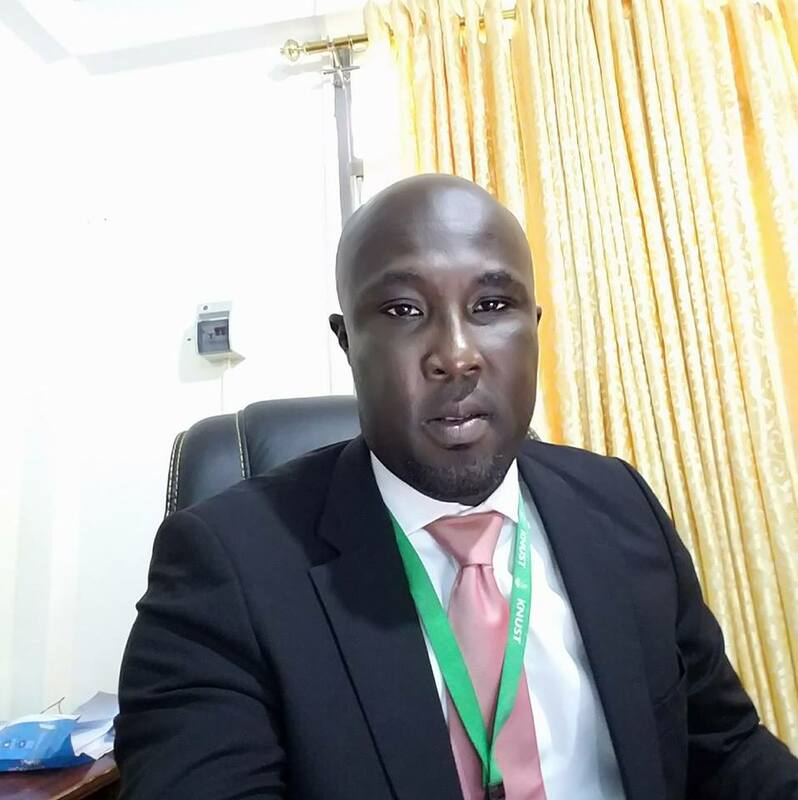 Until his appointment, Dr. Otchere Addai-Mensah was the Head of Medical Diagnostics Department at the Kwame Nkrumah University of Science and Technology (KNUST). He is the immediate past Dean of the Faculty of Allied Health Sciences, Kwame Nkrumah University Of Science and Technology. Dr. Otchere”s main research area is Malariology. He also does research in Diagnostics, Haematology, Transfusion Science, Public Health and Immunoepidemiology of Infectious diseases. Dr. Otchere is a communicator, currently the host of a flagship talk show on Pure 99.7 FM in Kumasi. He played a key role as a spokesperson for the University Teachers Association of Ghana (UTAG) during the October 2018 KNUST impasse which eventually lead to a closure of the university for a period of three weeks. He has been the National spokesperson for Junior Doctors Association of Ghana, General Secretary for the Ghana Medical Association. Dr. Otchere has also been Secretary of the Ashanti Regional Chapter of the Ghana Medical Association and president of the Junior Doctors Association, Komfo Anokye Teaching Hospital. He will be the Vice Dean to the acting Dean of Students, Prof. Wilson Agyare who is expected to be made the substantive Dean of Students by August 2019. Established in the year 1997, the Office of the Dean of Students act as loco parentis to students with the mission to assist students to understand how the university operates at both the social and academic levels. The office provides the following services : Freshmen Orientation, International Students affairs, Faculty Visitations, General counselling Services, Students guidance, Students Housing Issues, Students Conduct and Disciplinary issues, Mediation among others.